CONTIMODKIT TPMS Service Kit, Acura, Chrysler, Dodge, Ford, Honda, Hyundai, Jaguar, Jeep, Kia, Land Rover, Lincoln, Mazda, Mercury, Mitsubishi, Nissan, Suzuki, Volvo. 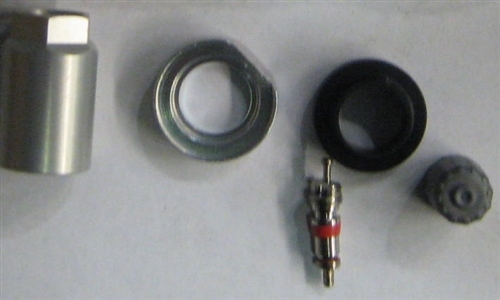 The CONTIMODKIT is essentially a KIT7000K with a thicker grommet. This service kit functions as a leak solution to vehicles factory equipped with the first-generation (and now discontinued) Siemens TPMS sensor . The leak issues in the second-generation Continental TPMS sensor can also be resolved using the CONTIMODKIT.